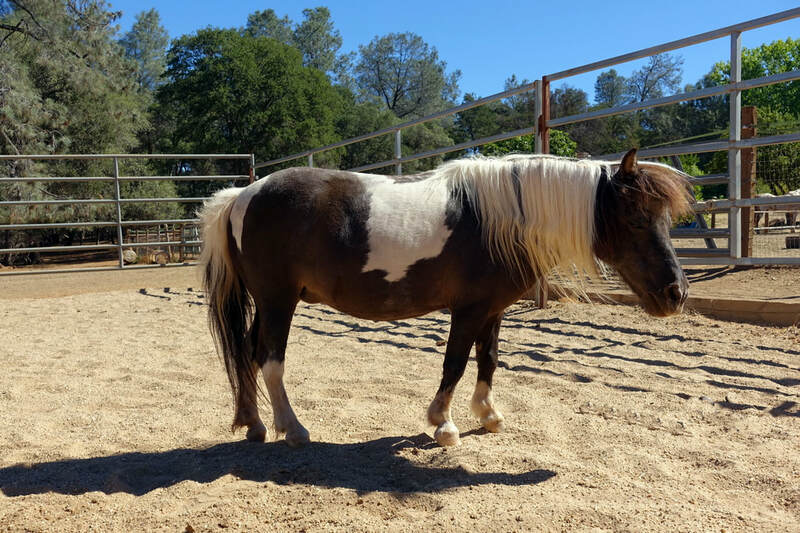 Patches is a pretty lil' miniature pony who had been used as a companion animal for many years before coming to AAE in 2012 after her pasture-mate passed away. She is in her twenties, but still full of life. She patters along in Marshmallow's shadow trying to entertain the kids in our youth programs, but he always steals the show. Ho hum, she says! Patches and Marshmallow are parade favorites for all the kids, too.